The 2017 Honda Fireblade is all-new and it arrived last year after a long, long run for the previous Fireblade. Now the previous Honda flagship sportsbike was already known to be a non-electronic model that was so sweet and so smooth that it didn't need electronics. Honda, in fact, made a huge deal how it designed the throttle to rear tyre connection so that a crystal clear feedback loop would be all the traction control you would need. But the game moved on. The Suzuki GSX-R1000R, for example, reveals how an extremely complex and effective electronics system can be made nearly invisible to the rider and unlock a level of performance previously impossible without a lot of hard work at perfecting riding skills. 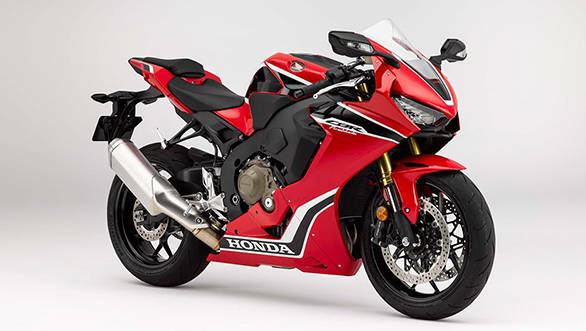 Well, challenge accepted says the new Honda Fireblade. My first laps on the Honda were difficult laps for me. I didn't have much time for acclimatisation and the track layout was unfamiliar to me. I would, ideally, have asked for something smaller and friendlier to learn the layout with. 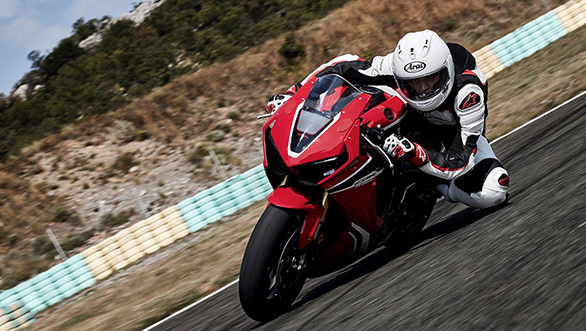 Like, say, the Honda CBR500R, a vastly less stressful sportsbike to ride by design. But there's two things I have learnt about this new generation of electronics. See this striped colour pattern? It's coming to India! First, no matter how macho or skilled you think you are, they work and they're on your side. Most current generation systems today are invisible until they are needed. Second, the mental safety net is very much worth having around. Because when I open the gas too early in turn 5 - optimistic Shumi - I panic only for a moment befor grabbing the brakes much harder than needed while applying a steering input to guide me towards where the tarmac is going rather than into the tyre wall that's looming. I guess some lights must have flashed on the fancy all-colour display. But my eyes have already survived the panic and moved to the next turn's entry and the gas is back on. The new Fireblade is astonishingly easy to ride. I never got to ride it outside the tight confines of the Melaka International Circuit but other journalists did. One noted while describing a particularly slow convoy stretch, "I did the whole of the last stretch in frikkin' sixth gear!" He didn't used the word frikkin', he used a far stronger word. Another noted that the ability of this 200PS missile to accelerate smoothly and easily from 30kmph in sixth gear to the over 300kmph top speed is hard to comprehend. That's how good the new Fireblade is. I loved the brakes - so strong, so easy to modulate as well as the ride quality. Hard to say how it will be in the real world but it certainly didn't feel stupidly stiff or unnecessarily harsh. It's as if Honda has a virtuoso engineer who sits with fine sand paper and polishes every single rough edge away. Handling is light and agile without any hint of nervousness or hesitation. Direction changes are lightning quick and I suspect they will get quicker still with time and familiarity. In short, we had just enough time to get a glimpse into the nature of the new Fireblade. 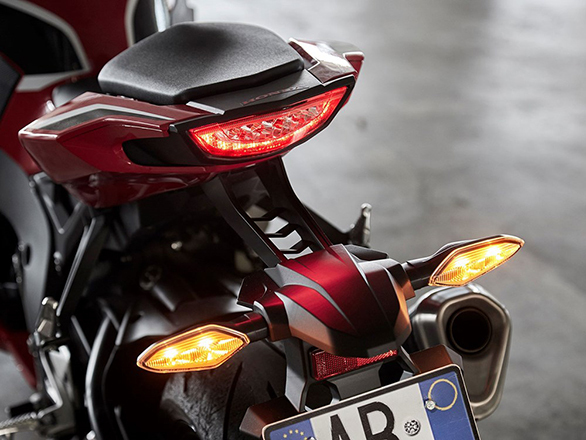 And as usual, Honda seems to have an unusual knack for knowing how to balance the needs of a street-going sportsbike that also happens to be their flagship performance motorcycle. 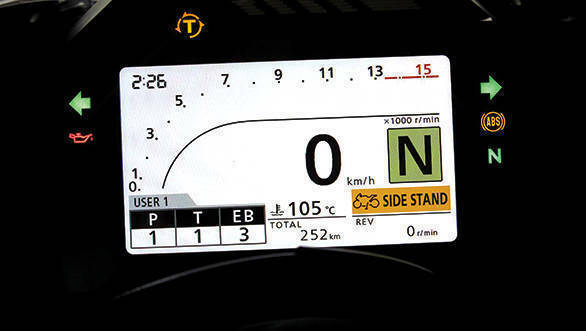 Now we hope for a road test unit to arrive for the real test.